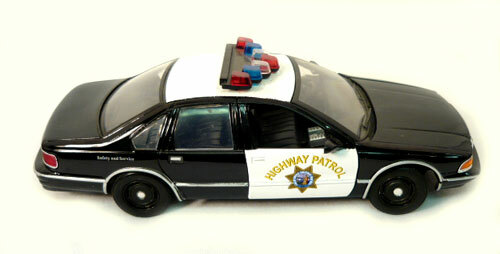 Check out this 1993 Chevrolet Caprice Highway Patrol Car 1:24th Scale by Motor Max. The hood opens to a detailed silver and black big block engine. This free wheeling model has stock black wheels and black wall tires. The doors open to a detailed interior and comes with police tights on the roof.